A fine plant by Vered A. Mann. 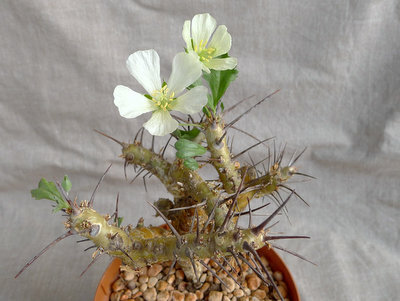 Flowering plant in culture by Vered A. Mann. This member of the Geraniaceae family was given this name by Focke Albers in 1996. It is found in Namibia and north western South Africa, growing in grit or other well drained soil with little water and lots of sun. The branches will grow up to three centimetres thick, and the whole plant up to 40 centimetres tall. 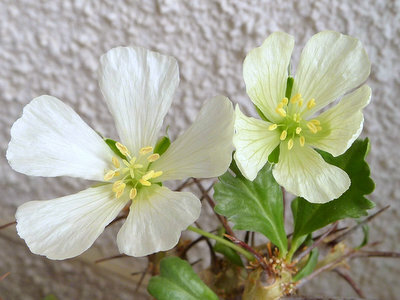 The flower are from almost white to light yellow.